On behalf of the Residents and Staff of Scalabrini Villa Skilled Nursing & Rehabilitation Center we extend to you our deepest gratitude for all the support received at our Annual Fundraiser! As the spirit of giving is high, it’s important to not forget to thank our generous donors. 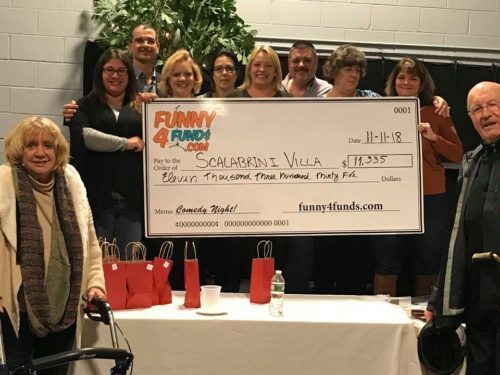 Scalabrini Villa thanks our friends, family, the many volunteers, and the community for attending and assisting us in making our Comedy Fundraiser a huge success!